Ahhh, I just saw one on eBay! 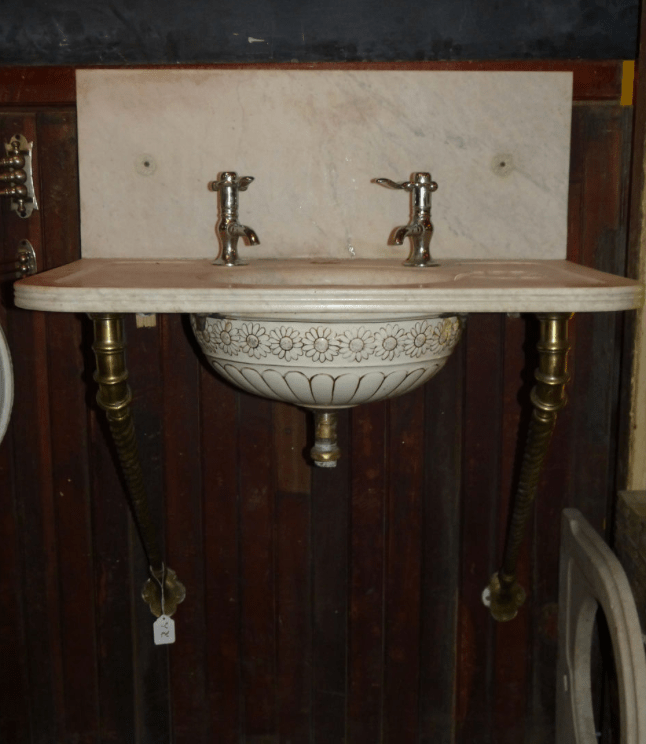 FABULOUS, and perfect for the main bathroom in the Cross House, save one small detail. The price. $2600! Not bad actually, but not something I will be buying soon. Sigh. 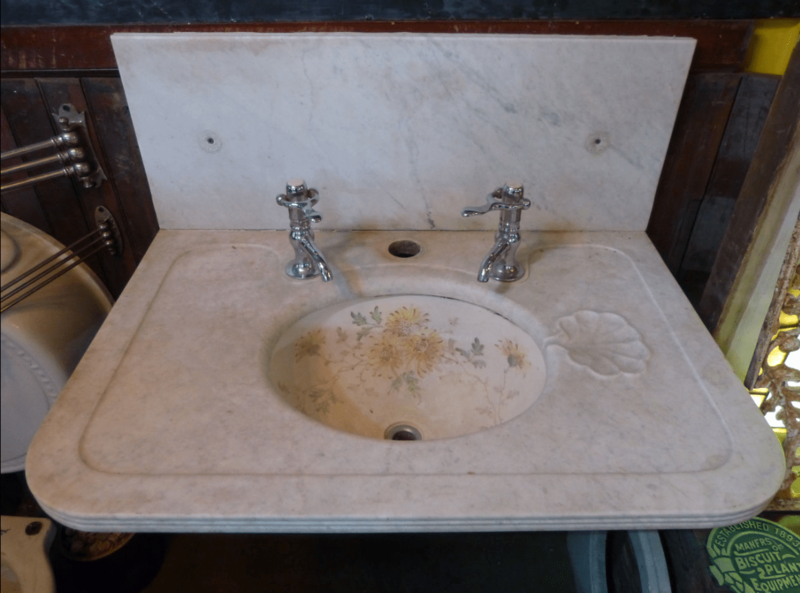 The sink is from Rewired Antiques in Indianapolis. 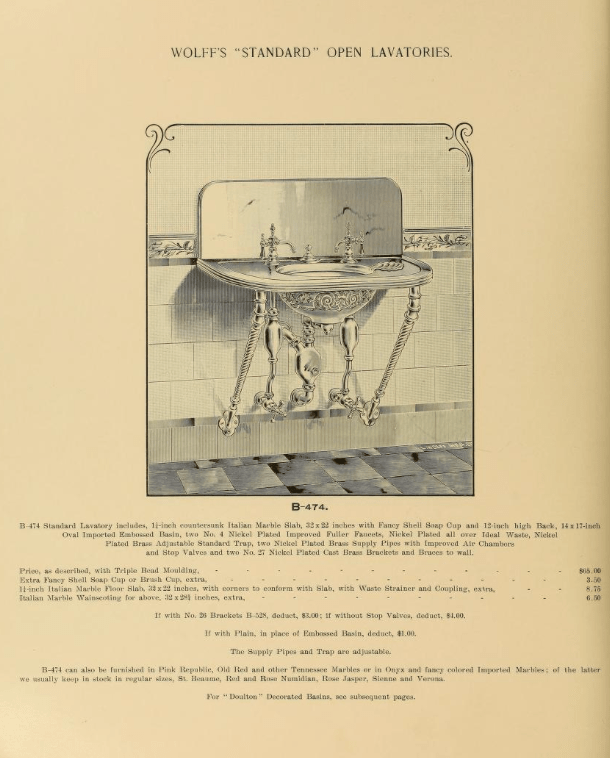 The wash basin (or sink in 2016 lingo) is also FABULOUS. And note the shell soap cup. 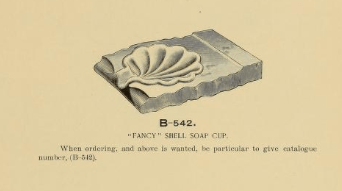 A Wolff Shell Soap Cup! 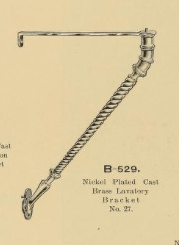 The leg brackets make me drool. Which sure look like Wolff brackets. 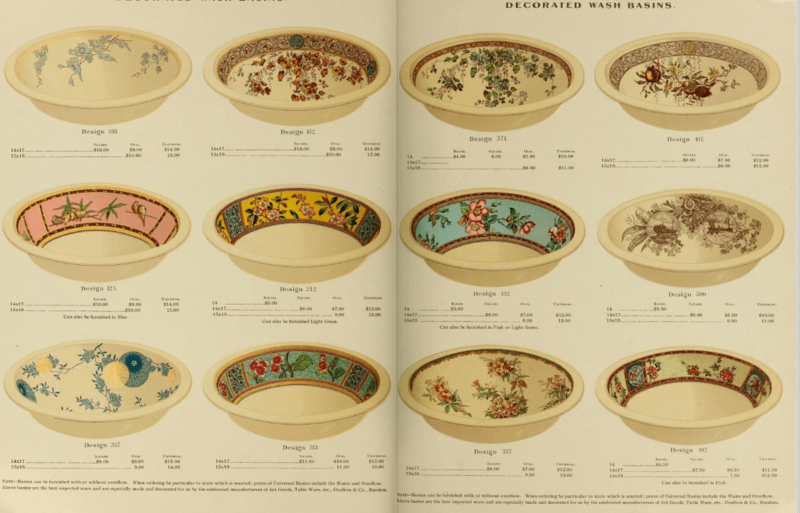 These catalogues are fascinating! What has happened to all these fixtures? One so rarely happens upon them. Your blog, Ross, continues to delight! 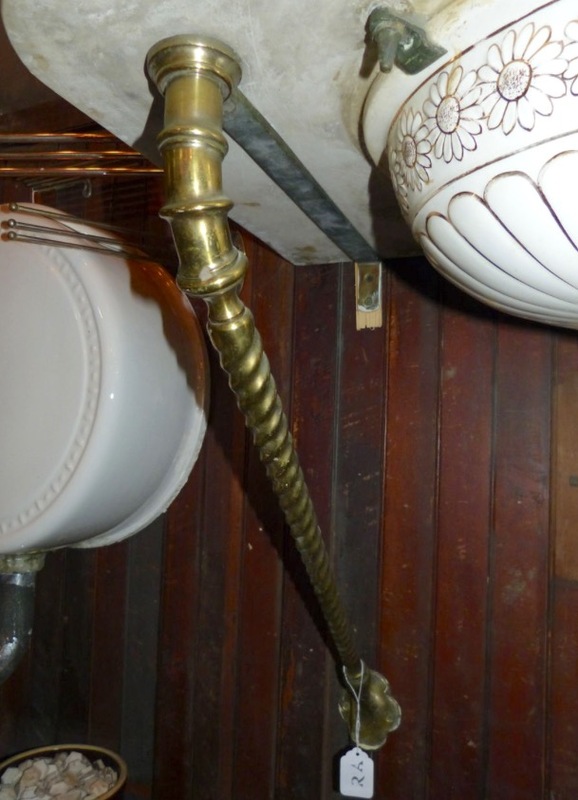 If you like those sink brackets then you’d love these ones I found online. They have a Phoenix design! Did you notice the toilet tank in the photo? You mean the cool round one?